Scientists from the Indian Institute of Technology, Kharagpur, have gathered evidence that shows the drought extended for 900 years, which eventually drove these otherwise-hardy people towards the east and south, where rain conditions were better. The startling revelation will be published in the prestigious Quaternary International Journal of Elsevier this month. Researchers from the geology and geophysics department have been studying the monsoon’s variability for the past 5,000 years and can now say with certainty that for 900 long years, the rains played truant in the North-West Himalayas, drying up the source of water that fed the rivers along which the civilisation thrived. 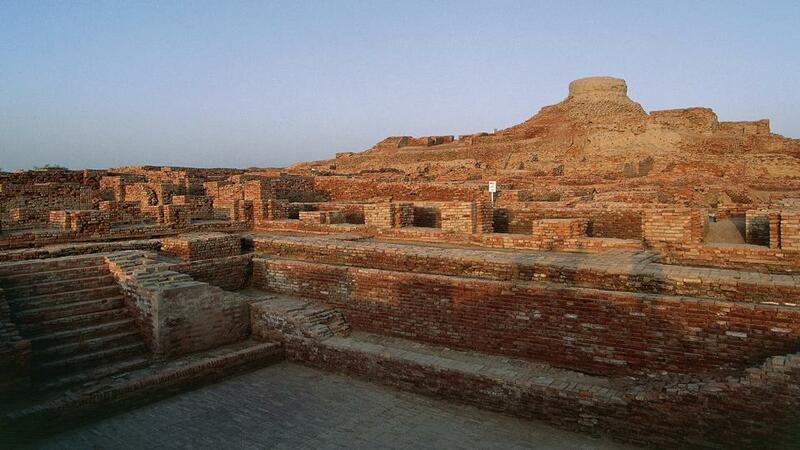 It is accepted by archaeologists and historians that the Indus Valley civilisation was not only limited to the banks of the Indus but had footprints along the Ravi, Chenub, Beas and Sutlej too. The IIT-Kgp team has mapped a 5,000-year monsoon variability in the Tso Moriri Lake in Leh-Ladakh, which too was fed by the same glacial source and identified periods that had continuous spells of good monsoon as also the phases of weak and near-no-monsoon. “We have proved that from 2,350 BC (4,350 years ago from today) till 1,450 BC, the monsoon had a major weakening effect over the zone where the Indus Valley civilisation flourished. It was a drought-like situation that forced people to abandon their settlements in search of greener pastures,” said Anil Kumar Gupta, the lead investigator and a senior faculty of geology at IIT-Kgp. These displaced people gradually migrated towards the Ganga-Yamuna valley towards eastern and central Uttar Pradesh, Bihar and Bengal in the east and Madhya Pradesh, south of Vindhyachal and south Gujarat in the south. In Tso Moriri Lake, the scientists worked over a five-metre deep sediment’s geo-chemical parameters, the layers of which revealed the years of good and bad rains. “We analysed the aluminium-calcium and strontium-calcium ratio of the sediment layers. In case of weaker monsoon, the ratio shows an increase while in case of stronger monsoon, the ratio shows a sharp decrease,” Gupta explained. Every five-millimetre depth of the sediment layer indicated a span of eight to 10 years and a total of 520 samples were studied to go back to an antiquity of 5,000 years, he added.